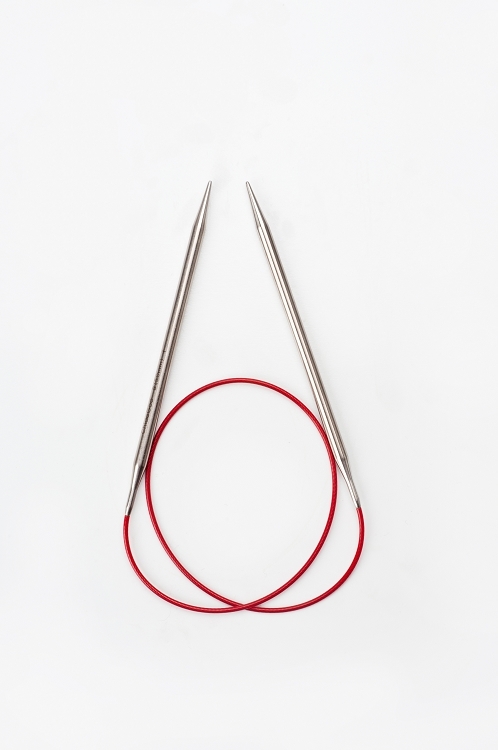 ChiaoGoo RED Lace 24 inch (60 cm) Stainless Steel Circular Knitting Needles are made from premium stainless steel with a multi-strand, nylon-coated steel cable. The cable is very smooth and flexible with no memory. That means no dunking it in hot water to straighten the cables out! I've been knitting for a number of years and had a ton of trouble with available needles. When I finally learned that I have a nickel allergy I knew why my needles always became black and made my knitting dirty. 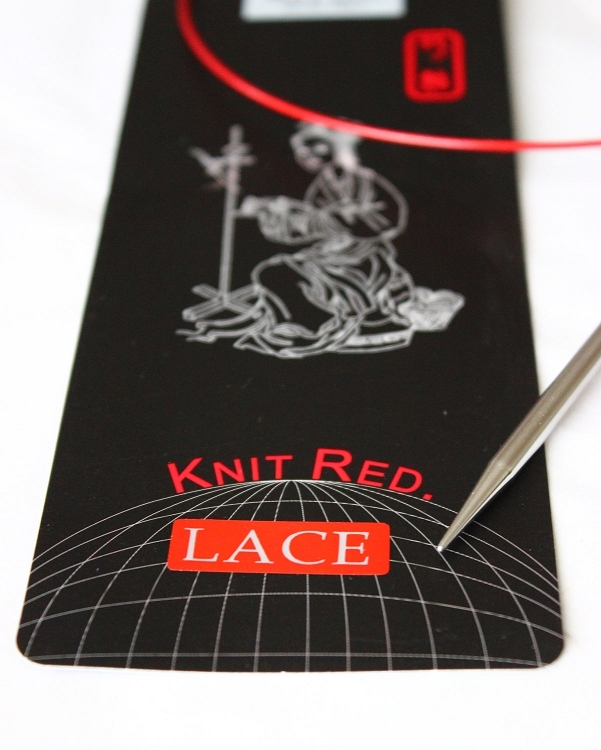 Along came ChiaoGoo stainless steel needles and my knitting is fast, clean and the cords are ultra smooth. I've been replacing all of my needles with ChiaoGoo. Thank you, Handsome Fibers!